Secure your space at the Foo Fighters concert at London Stadium within moments. Buy online the perfect hospitality package for you, and ensure you don’t miss out. But with limited availability remaining make sure you act fast. 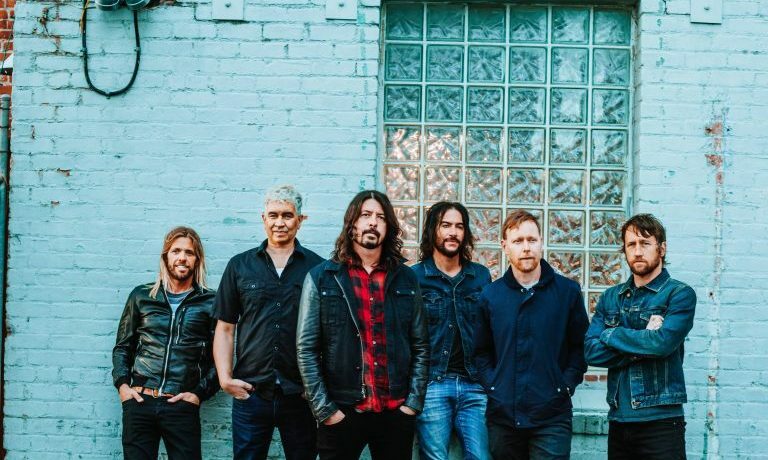 Foo Fighters tour dates for the UK have been announced with two key dates in London and one on Manchester to support their widely praised Concrete and Gold album. Dave Grohl and his band will perform the huge hits that have defined their career, the likes of: The Pretender, Best of You, Everlong and many more. And why not see UK Foo Fighters tour for yourself? Secure your Foo Fighters hospitality tickets at London Stadium online today. Foo Fighters tour comes to England first with a single performance at Manchester’s Etihad Stadium on 19th June 2018, and then coming to London on 22nd and 23rd June 2018 at London Stadium known by some as Olympic Stadium. But with Foo Fighters hospitality tickets for London Stadium selling out at a rapid rate – make sure you purchase yours today. And enquire with us for premium Foo Fighters Etihad Stadium tickets for 2018. By securing Foo Fighters hospitality, you can ensure you enjoy an unparalled view of the stage from your VIP seating. Because when you see your favourite artist perform you don’t want to be stuck at the back. With Foo Fighters hospitality tickets for London, you can choose an experience of hospitality that’s right for you and your group. Whether it’s a sit-down gourmet meal prior the concert, or some light snacks from a curry counter. Relax in the stunning London Stadium hospitality suites prior to making your way to your seats. And if you want to see just how close to the stage you will be, take a look at our Foo Fighters seating plan at London Stadium. Set to be the biggest rock concert in the world, the Foo Fighters are currently at the top of their game. Following on from a spectacular performance at Glastonbury 2017, their unique showmanship and impressive setlists provide an experience you will not want to miss. Enjoy your slice of the action, buy your Foo Fighters VIP tickets today. With a widespread appealability crossing generations, it’s hard to find anyone who can’t list at least three of the Foo Fighters songs. And with a supportive group of super fans, the atmosphere for these concert dates will be spectacular. Buy online Foo Fighters hospitality with Villiers today! Get in touch today for experiences worth sharing.